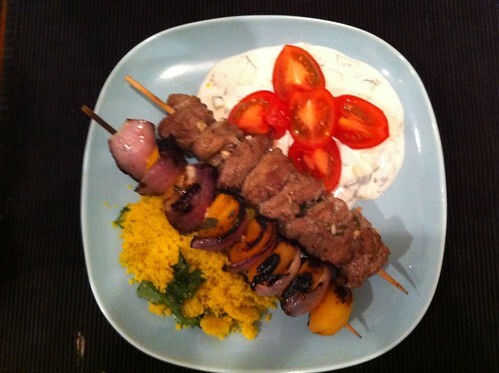 Grilled Moroccan-Spiced Lamb Kebabs. Grilled Apricots and Red Onion. Cucumber Raita and Tomato Salad. Cilantro Couscous.